The bend halfway down Doyers Street in Chinatown used to see more killings than any other stretch of road in the country. The Bloody Angle is safe now, but not quiet. During the Tong Wars of the early 20th century, the theater was neutral territory, where Hip Sing and On Leong sat separately but peaceably, until the day in 1905 when Hip Sing gunmen set off firecrackers during a performance and then opened fire on their rivals. The Chinese Theater Massacre isn’t necessarily the piece of local history that the Chinese Tuxedo wants to invoke. Gangs, killings, Bloody Angle, Tong Wars, gunmen opening fire—the visual imagery Wells first and repeatedly conjures up is hardly a montage of food or dining. It’s a clichéd stereotype about Chinatown invoked to capture the reader’s attention because the food, the restaurant, and the review are all apparently too boring to stand on their own. I know I should expect more than Connors-grade exploitation from the New York Times, but sadly, I can’t. Not anymore. There is an adage in journalism: “if it bleeds, it reads.” Pete Wells took this beyond the extreme when he started off his article about food by invoking killings, gangs, and bloodshed. More than that, he was being lazy. There, I said it. When journalists can’t or won’t write an article in 2017 about squab and eggplant without connecting that innocent dish to decades–old gang violence in Chinatown, their laziness becomes indistinguishable from racism. Back in the day when Chinatown was just three mean streets, Doyers was the kink in it, a dogleg alley barely 200 yards long, its tenements riddled with fan-tan houses and opium dens, its cobbles sweating whiskey and camphor. The tongs went at it down there with hatchets and snickersnees, rival gangs of fallen men with names like Mock Duck and Girl Face. It still feels eerie, even on a Sunday at noon. The rest of Chinatown heaves, but on Doyers Street it’s hushed, the way the city is never hushed. Like Wells, Mishan reached for the sleaziest, most horrifying imagery out of Chinatown’s past to captivate the reader. Again, this was imagery that couldn’t have had less to do with the subject at hand. The cheap tactic of using recycled Orientalism to attract readers has had its time. Yes, Doyers Street is significant, and to deny that would be to deny the history of Chinatown itself. 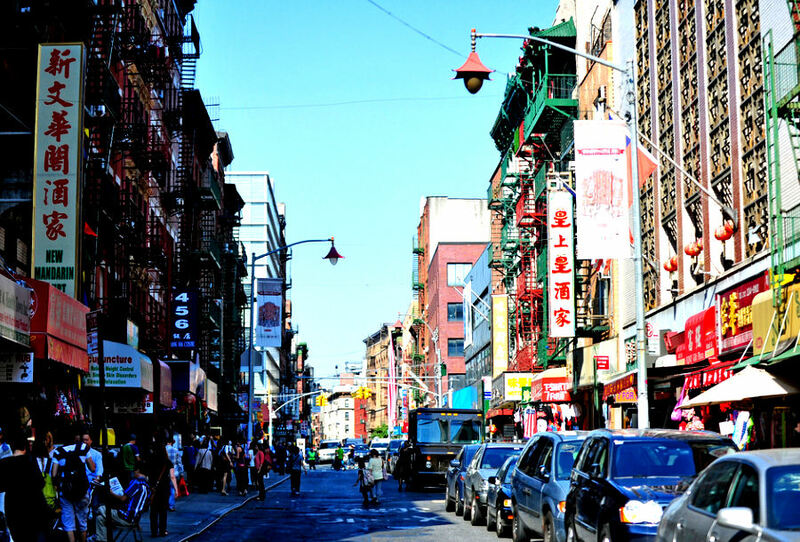 My family, having lived on Chinatown’s Mott Street for three generations, understands that history—whether good or bad—cannot and should not be hidden. And yet, the New York Times feels it necessary to — over and over again — remind its readers of archaic stereotypes they might have otherwise long since forgotten. Racist, essentialist images are thrown front and center, the blood splattered again to paint the scenes all over. It appears that one of the most estimable news publications in the country (and possibly the Western world) is at best archaic and obsolete in its treatment of New York City’s Chinatown; at worst, it is subtly promulgating the very kind of insidious, small-minded, and racist messages that it purports to combat. The reach and influence of the paper is unquestionable, and yet this subtle racism flying under the cover of edgy journalistic conventions is just as exploitative as Chuck Connors’ turn-of-the-century slum tours. Literary Orientalism, which depicts all Chinese people as outrageous and exotic objects to be gawked at instead of understood, has long been rejected by Western scholars (and was always rejected by Eastern scholars) as a damning reflection of bigotry. It’s time that the New York Times caught up. Jan Lee is s a life-long resident of Chinatown. His family has its roots on Mott st. that stretch back four generations. 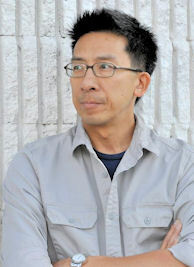 In 1992 he founded Sinotique, an antiques, home furnishing and custom design business at 19 Mott St. In addition to being a local business owner Jan also manages his family’s real estate company which comprises of 19 and 21 Mott st. purchased by his grandfather in 1924. As a resident and a 2nd generation executive member of the Board of Directors at Hamilton Madison House, he continues to volunteer his time and expertise on matters pertaining to Chinatown streets, transportation, property ownership and issues facing residents.